I am taking a sort of sabbatical this year. Since moving up to Edinburgh I am taking work teaching art in Adult Education, but not actively looking for full time paid work. I have been blogging ( a bit) making friends on Instagram, skyping with my Oxfordshire friends and working on several journals. One is called the documented life project. Every week on a Sunday we get a prompt to act as inspiration. I have been participating since January. Last week’s prompt was ‘add a house’ , one of my othe projects is a friendship journal where me make pages for other people on a theme. ‘SweetCaroline’ wanted a Dutch theme. 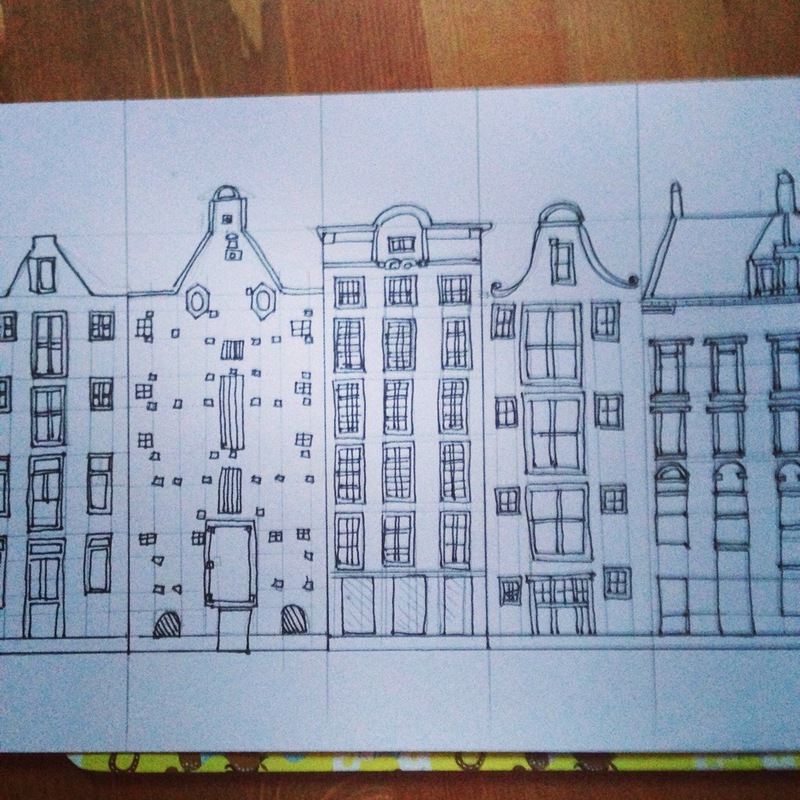 After drawing my Georgian flat I have been itchy to draw more houses. In the 1970’s my biological Father moved to Holland for work. My sister and I visited several times and I remembered loving the funky architecture and old boat designs. I found some images and started drawing. After my work with objects last year I was still surprised at how evocative looking at images on Google and drawing the houses could be . 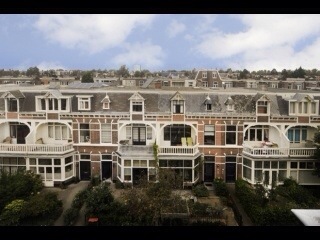 Memories flooded back, Dad and my stepmom, rented a tall house like these in Den Haag. I remember visiting and the stench of dog pooh! The houses were so tall It felt like there were floors that they didn’t use. I always liked the homes that my Dad and Phylly made. They moved so many times( I realise now) they probably travelled light, but I loved the spaces they created, light and white, cream accessories plants …. dad was a civil engineer, I don’t know if he had any influence on what they chose , until this minute I always assumed it was my stepmother……. I am on the bus to the airport and there are some Dutch people talking over the way, I am amused. This entry was posted in Uncategorized by tesswyatt. Bookmark the permalink.